Still among my favourites, this simple, elegant fox with her pretty eyelashes was one of the first brooches I ever designed. She makes a charming brooch and comes in bespoke packaging to create a whimsical gift. This is the smallest (and cutest!) 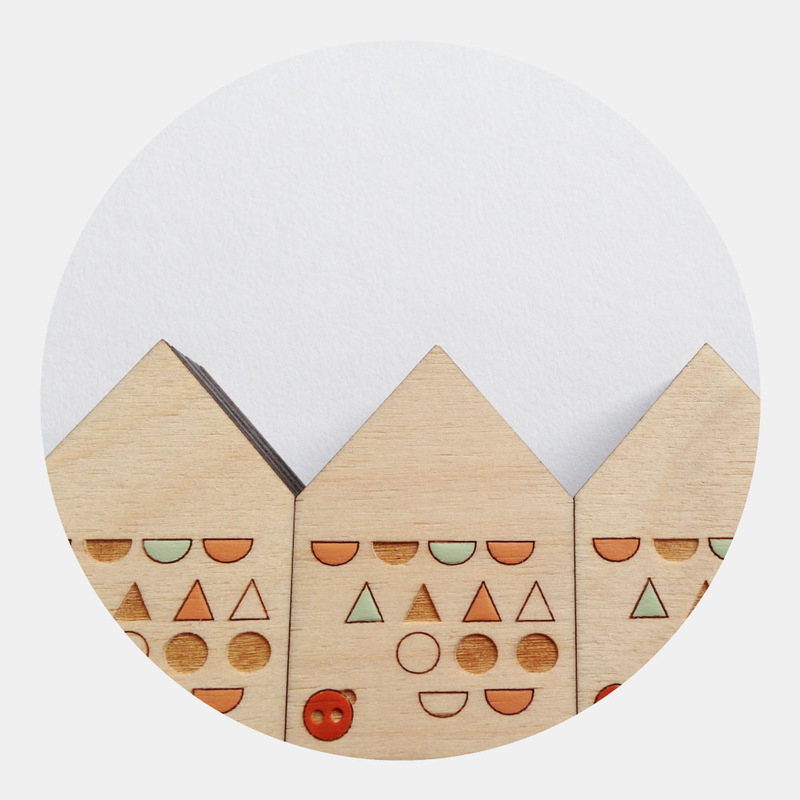 piece in our limited edition set of houses. Hand-painted, crafted with love and individually numbered, each cabin features an etched house series logo and comes complete with its own certificate and illustrated gift bag. Inspired by the pretty hedgerow flowers and berries of the English countryside, this set of three wooden flower stems – Flora, Rosehip and Mustard Flower – reflect the changing shades of Autumn.